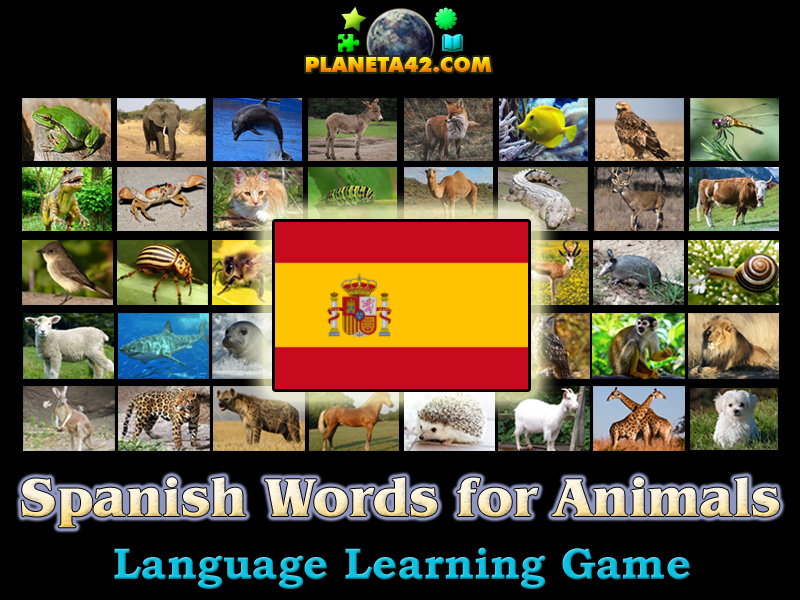 49 Spanish words of animals in a fun online game to learn Spanish. 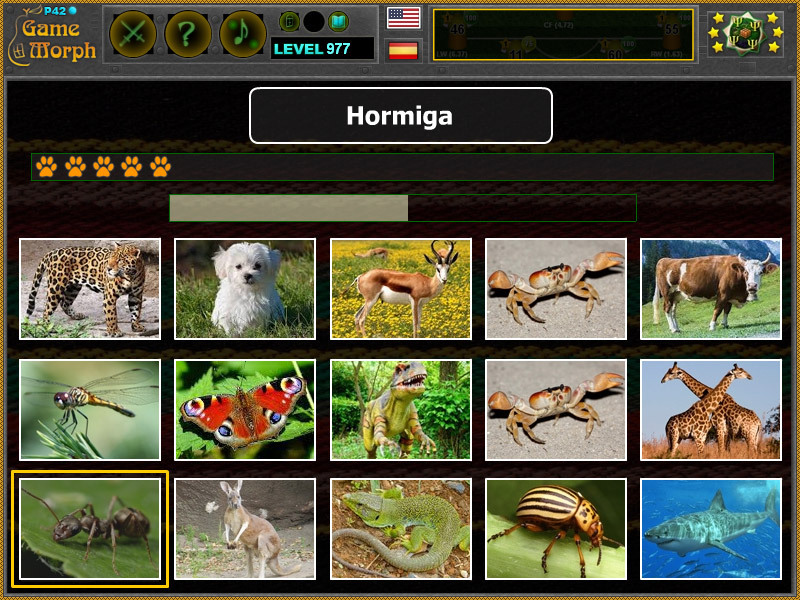 "Spanish Words for Animals" is a free online knowledge level game to test or learn the Spanish words of 49 animals. Read the words and click on the matching image. A small misaic game for desktop computers, laptops and tablets, which may be played in the web browser. What are the spanish words for popular animals? How to play Spanish Words for Animals. A random spanish word will appear on the upper part of the screen in the white lined field. Read the word and click on the matching animal image. Every correct spanish word will give one "paw" and every wrong click will take one. You need 26 "paws" to win the game. Know 15 animals in Spanish. Here is a gameplay movies on YouTube. Class subject: Spanish words of animals. Labels: Games with Words , Mosaic Games , Spanish Learning Games , Language Games , Education Games , Free Online Games.